Goodbye, missed tasks. Hello, job forms! Job forms is a new free feature available to all Jobber users. In seconds you can create custom forms or checklists so your team has everything they need on the job. Attach one or multiple forms to a job, and your team can fill them out on any device during each scheduled visit. 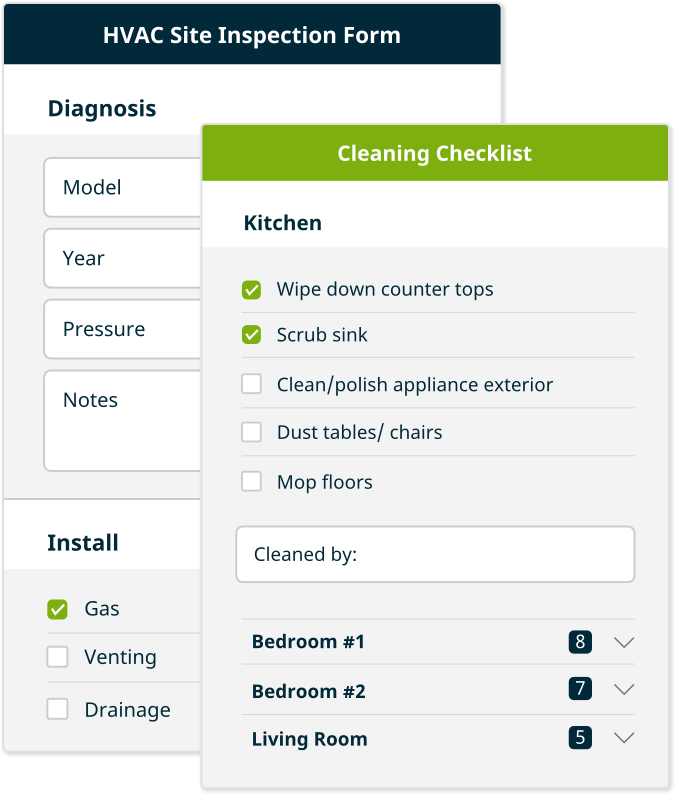 Create forms and use them for to-do checklists, site inspections, service call authorizations, and more. We’ll keep a record of completed job forms so you can access them anytime you need. Check out more information about job forms and other features we offer. Already using Jobber? Learn how to set up job forms, and feel free to reach out to our Success Team with any questions.